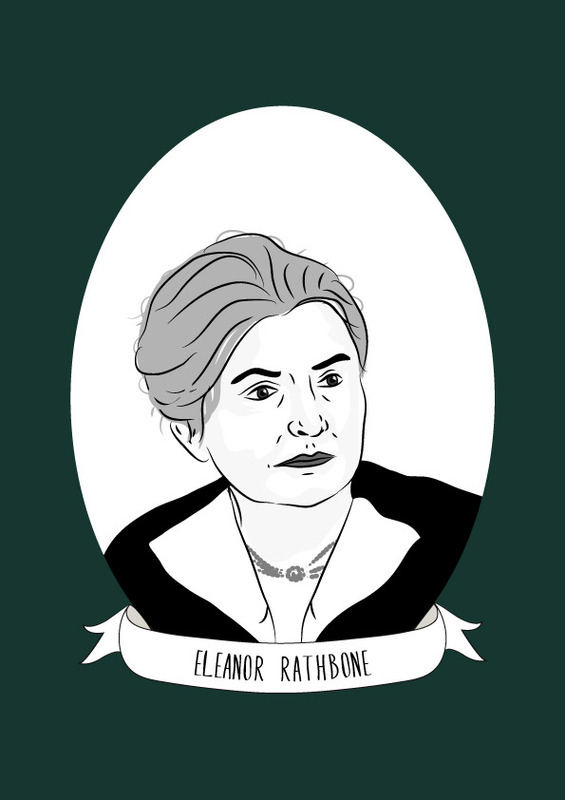 Eleanor Rathbone was an independent British MP, social reformer, suffragist and feminist who is best known for her success in fighting for family allowance and women’s rights. Rathbone was born into a influential family in Liverpool, her father was social reformer William Rathbone VI and her mother, his second wife, Emily Lyle. Rathbone’s parents encouraged her to focus on social reform, and after graduating from Somerville College, Oxford she worked alongside her father to investigate social and industrial conditions in Liverpool. While she had been at University, Rathbone was involved in the fight for women’s suffrage and became a leading member of the National Union of Women’s Suffrage Societies (NUWSS). She was elected to the executive committee of the organisation in 1912, and a year later published her first book, The Condition of Widows under the Poor Law (1913). Equal Pay and the Family. A Proposal for the National Endowment of Motherhood which argued for the introduction of family allowances. In 1918, Rathbone was instrumental in negotiating the terms of women’s inclusion in the 1918 Representation of the People Act which granted partial suffrage to women. A year later, she became the president of the NUWUSS after the resignation of Millicent Fawcett. Rathbone continued to focus on social issues, and published The Disinherited Family in 1925. Four years later, she was elected to the House of Commons as the Independent Member for the Combined British Universities. She used her position to campaign against FGM in Africa, child marriage in India and forced marriage in Palestine. In 1930, she joined the British Non-Sectarian Anti-Nazi Council to support human rights after realising the threat of Nazi Germany. During WWII, Rathbone pressured the government to publicise the evidence of the Holocaust. She fought for the government to support dissident Germans, Austrians and Jews and set up the Parliamentary Committee on Refugees to take up individual cases from Spain, Czechoslovakia and Germany. Rathbone had continued to campaign for the Family Allowance, and in 1940 published The Case for Family Allowances. In 1945, after the policy was adopted by the Labour Party, Rathbone saw the Family Allowances Act pass into law, although she was enraged that the allowance would be paid to the father not the mother. She was then instrumental in forcing the Government to agree to pay the money to the mother, not the father. In 1986, a blue plaque was erected for her by Greater London Council at Tufton Court, Tufton Street, Westminster, London SW1P 3QH, City of Westminster, where she had lived. At the University of Liverpool, the School of Law and Social Justice and the Dept of Psychology is now housed in the Eleanor Rathbone Building, the University also named their theatre after her.